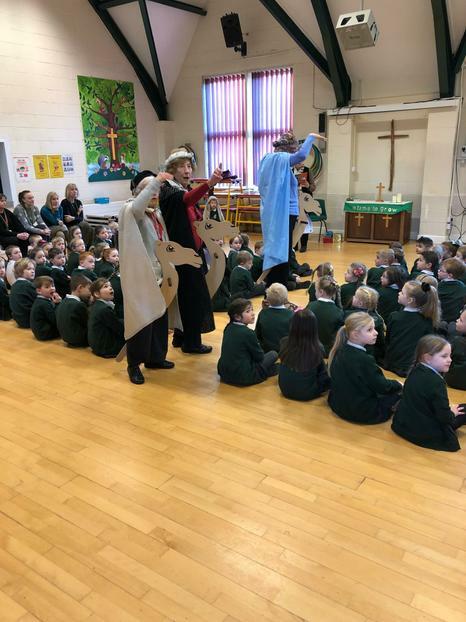 Today we learned the story of the Three Kings and their long journey to meet the new king in Bethlehem. 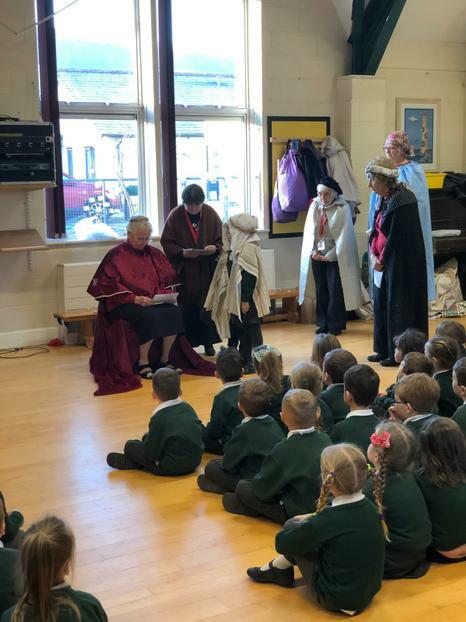 Along the way, they met King Herod who tried to trick them. 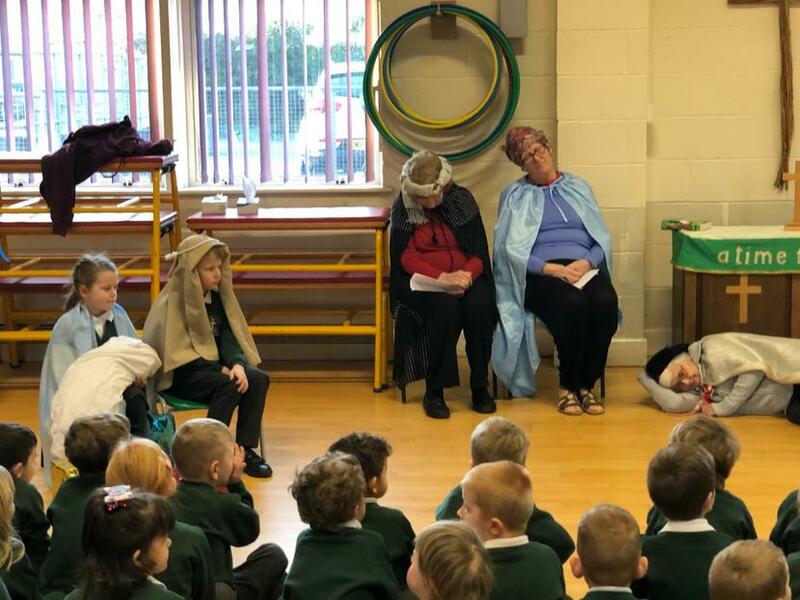 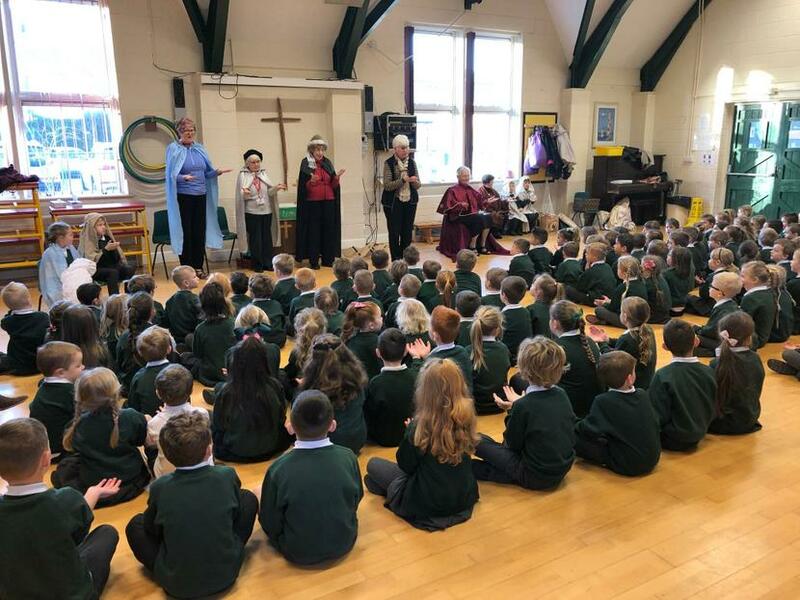 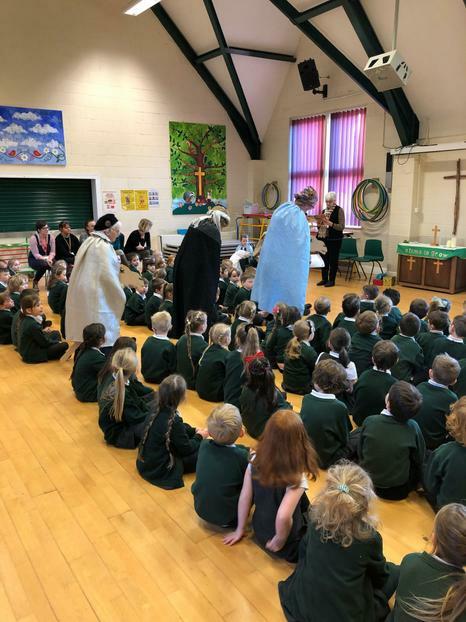 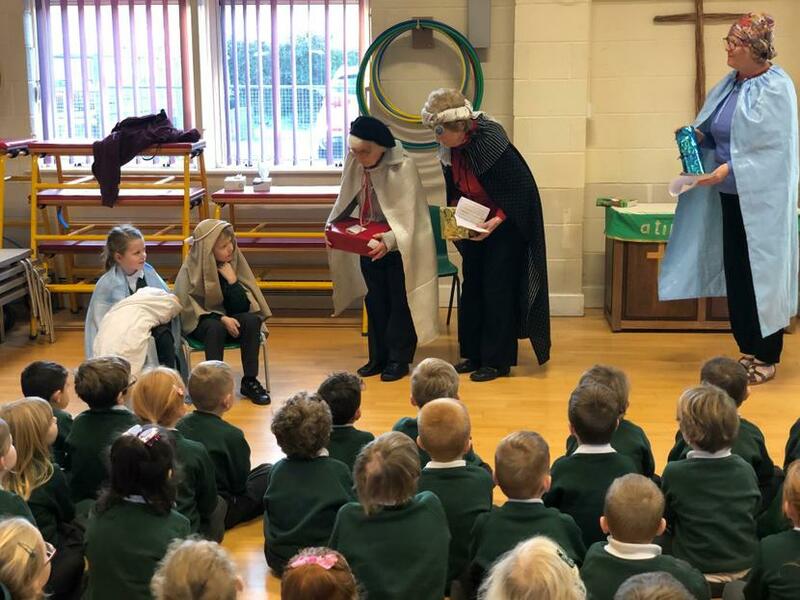 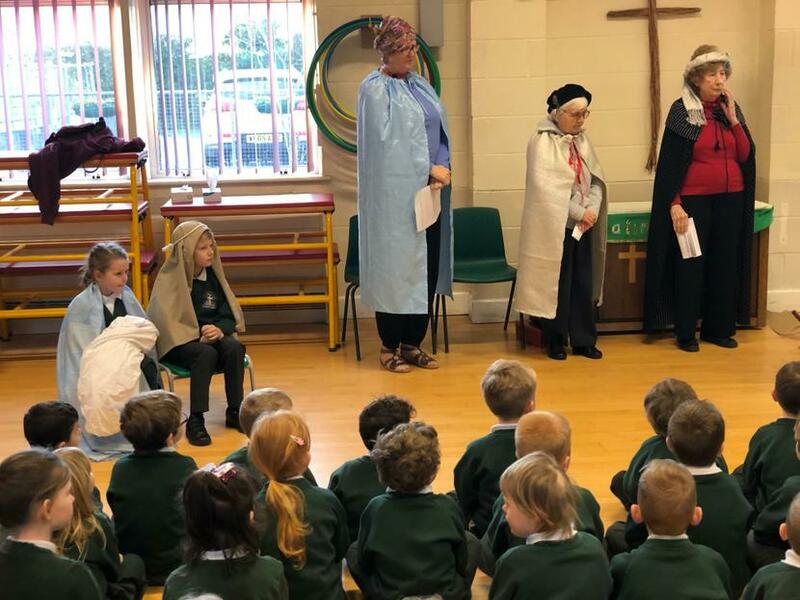 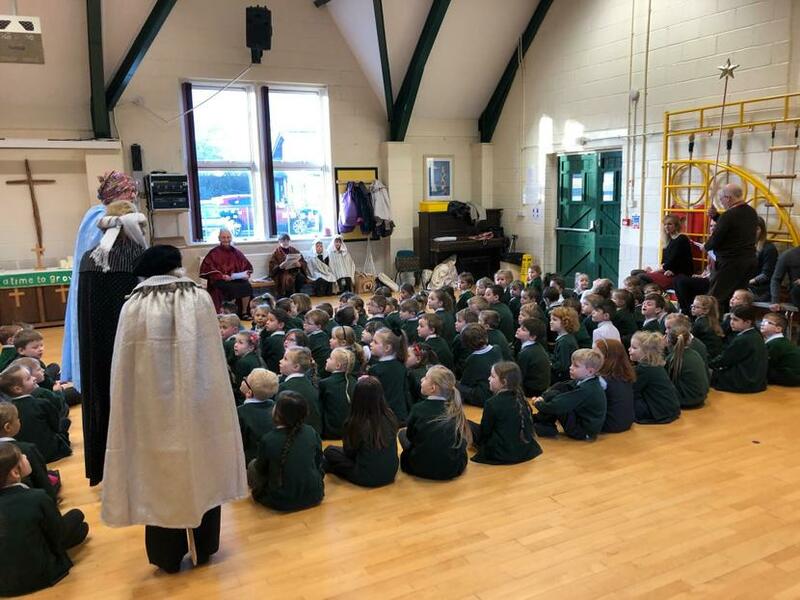 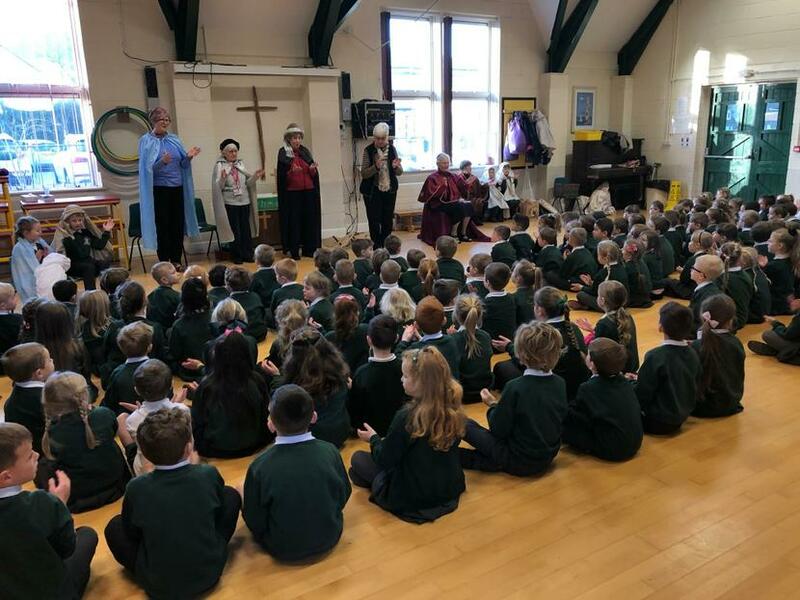 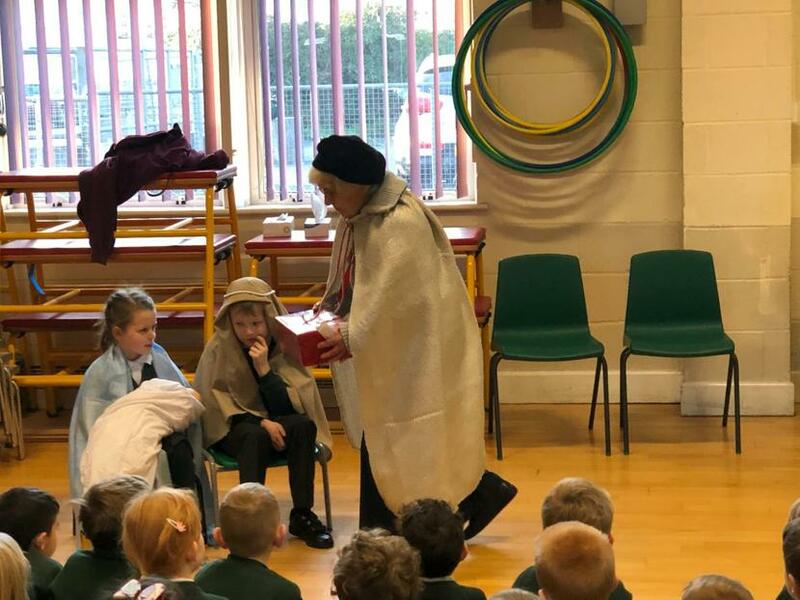 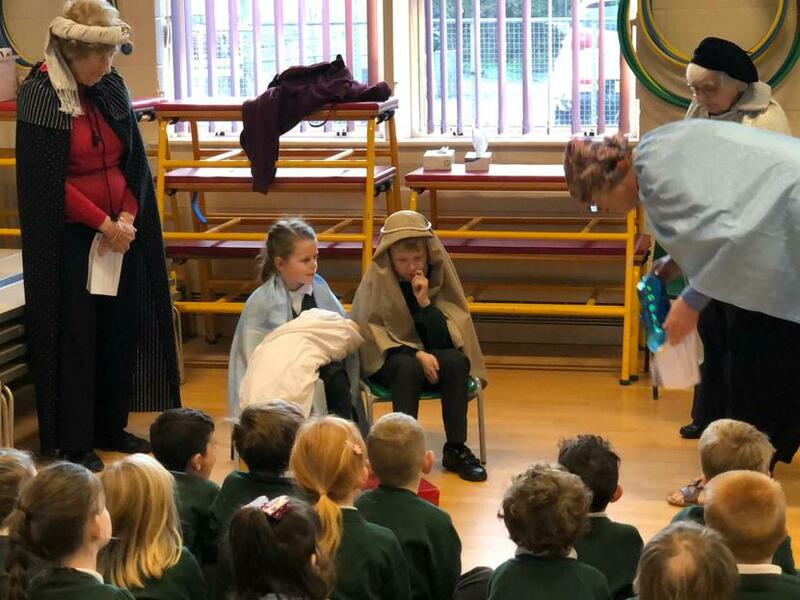 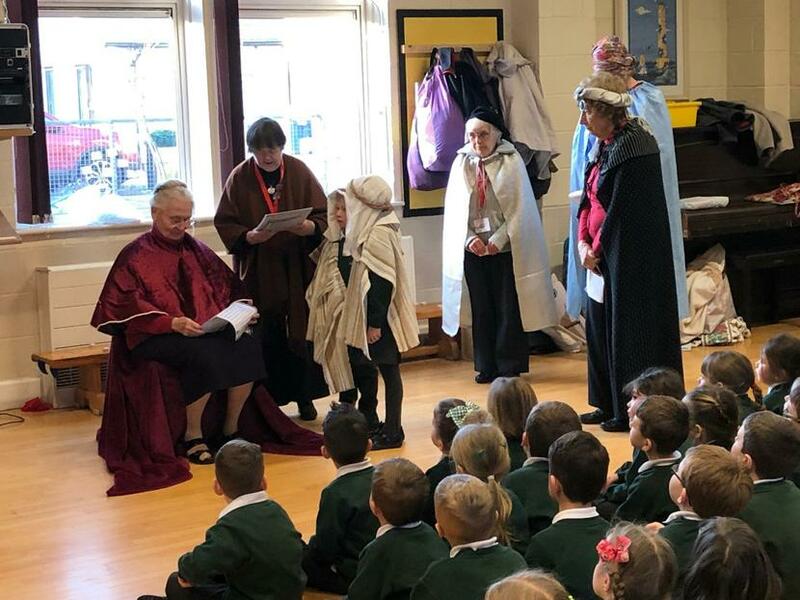 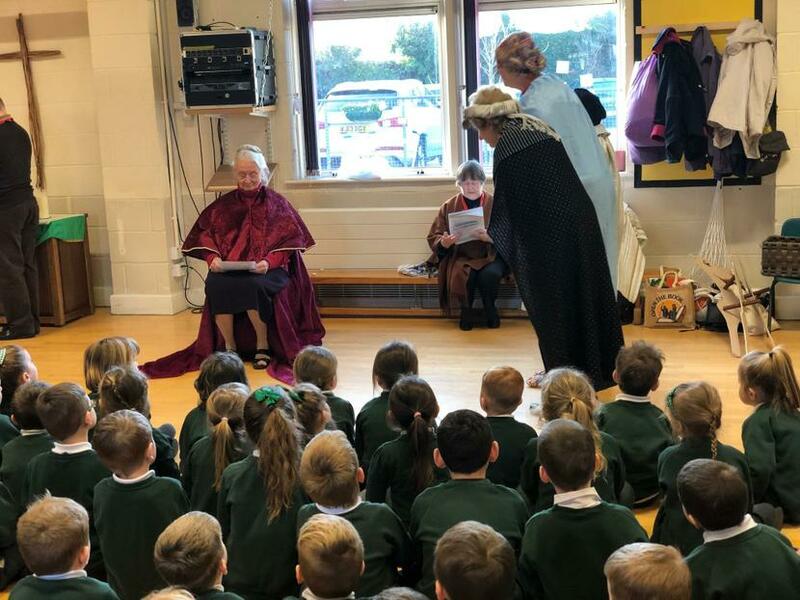 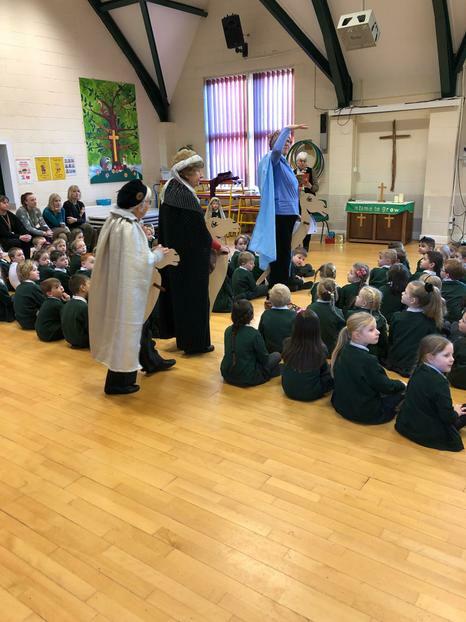 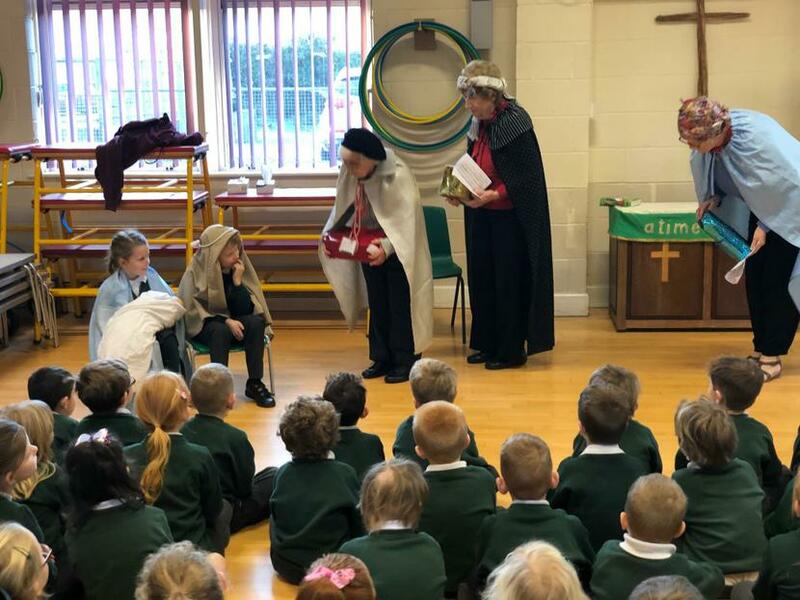 The children enjoyed the story, as always, particularly some Year 2 children who got to play the parts of Herod's advisers and Mary and Joseph. 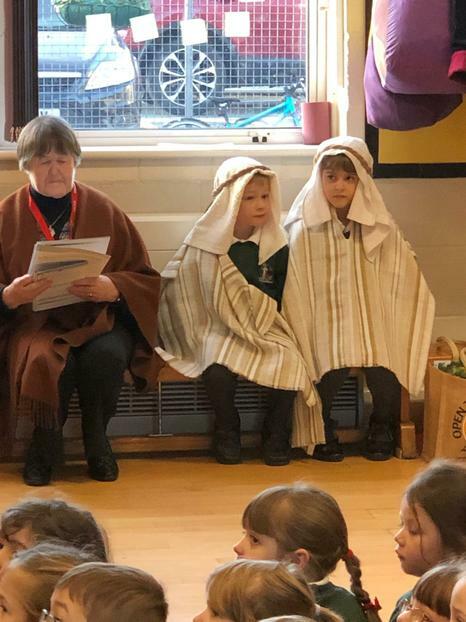 After we heard the story we talked about what 'wise' might mean. 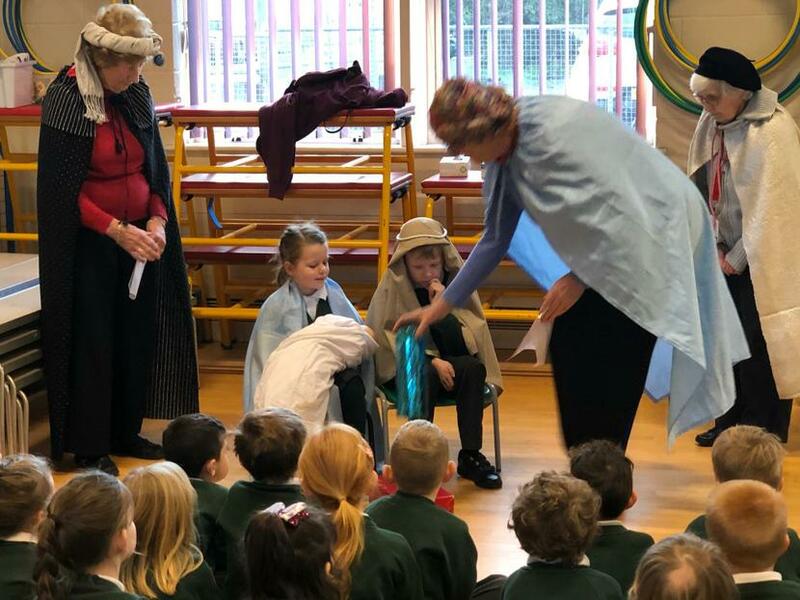 The children thought it must mean that they were very old, but one child said that it meant they were very clever and knew lots of things. 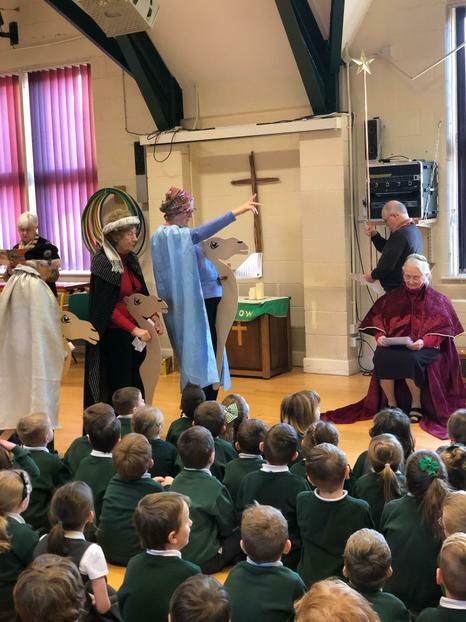 Thank you to Open the Book for a fantastic performance.